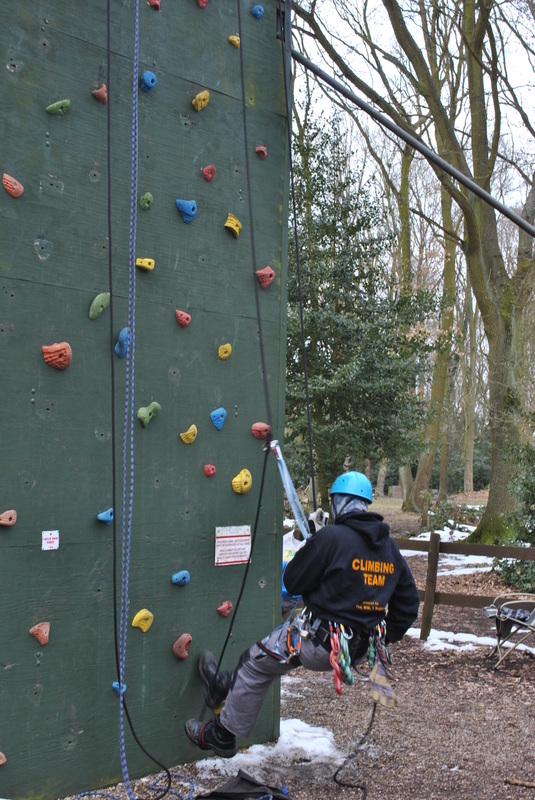 A fully equipped Climbing and Abseiling Tower is available to Scout and Girl Guide groups by prior arrangement with the HSDC Climbing Manager. 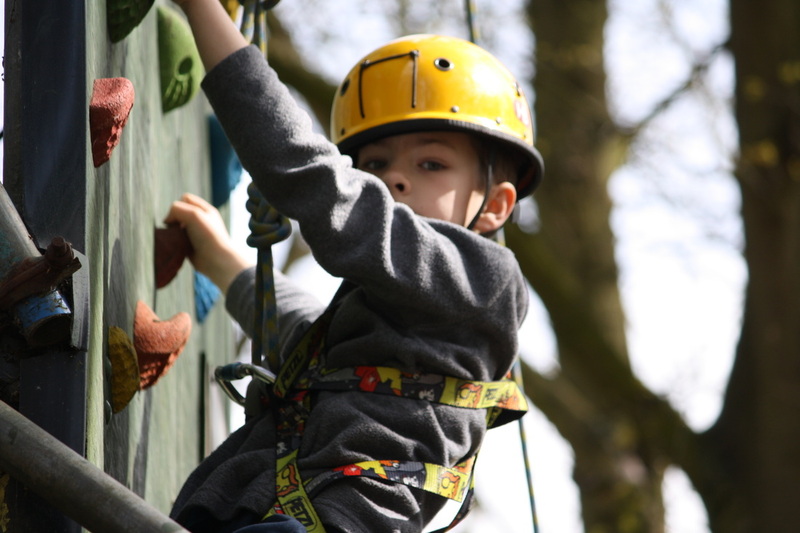 Try your hand at scaling the small wall first and if you feel confident enough have a go at the larger wall. Climbing suitable for: All Age Groups. Abseiling suitable for: Ages 8 and above. Non Scout / Guide groups please contact the Climbing Manager for advice. I don't know how you managed to get so many amazing instructors the Cubs & adults had such a good time with them. I have to single out the climbing team for a special mention. They never stopped encouraging the kids while they climbed & they never stopped smiling even though it was chucking it down with rain & they were all very wet.